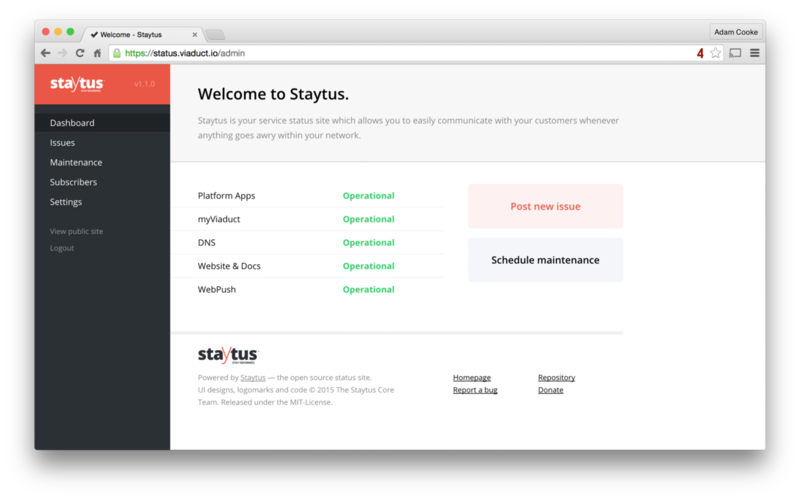 Staytus is another open source project I got off the ground a few months ago. 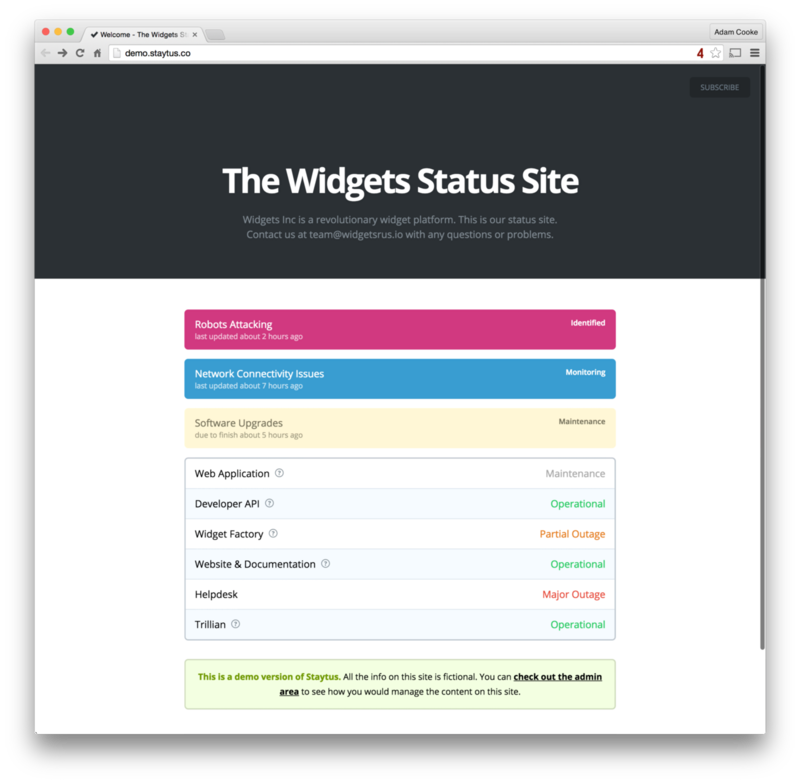 It provides a content management system for managing service statuses for your network or web application. We use it ourselves for the Viaduct and Dial 9 status sites. I haven’t really had much opportunity to work on it since it went live and never really announced it anywhere. 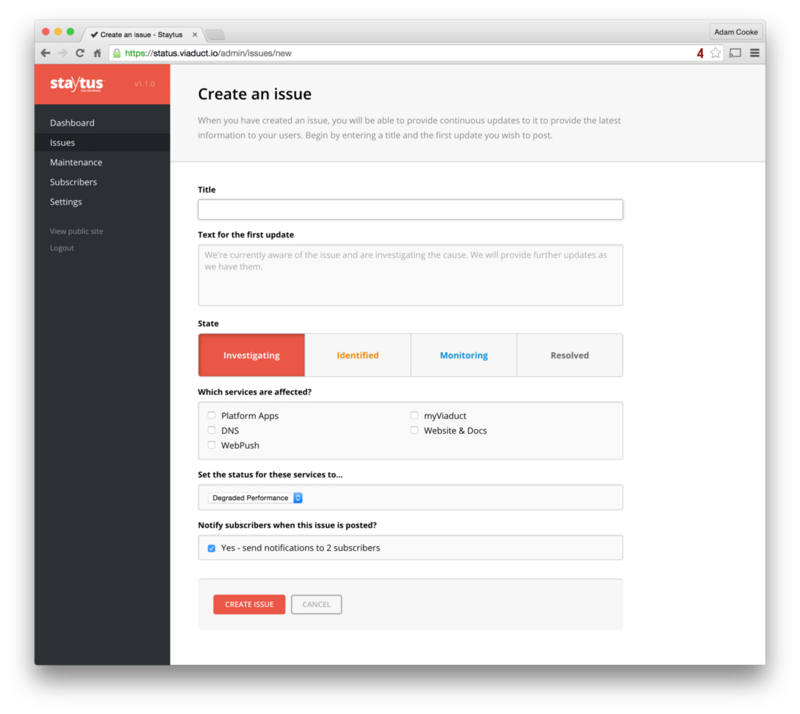 *It’s a Rails 4 application and written in a pretty standard way so anyone should be able to help contribute. It has a fully responsive default theme which works really nicely on desktops, tablets & mobiles. You can add your own theme if you want. 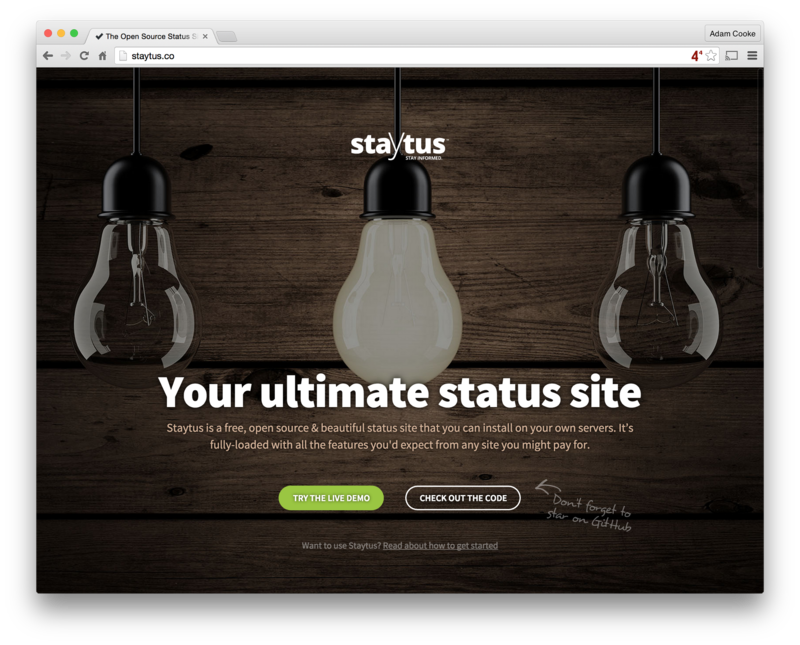 It has a bit of an API which can be used to update statuses from other services. I’m hoping to have some time to work on it quite soon but if anyone has any ideas please do submit them on GitHub.